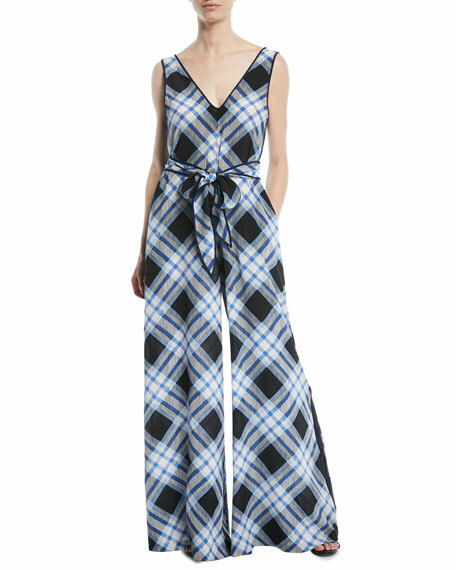 Diane von Furstenberg jumpsuit in check-print silk. Diane von Furstenberg founded her eponymous line in 1972. It has since become a global luxury fashion brand celebrated for its bold and creative approach to color and print, and admired for its sensual femininity. 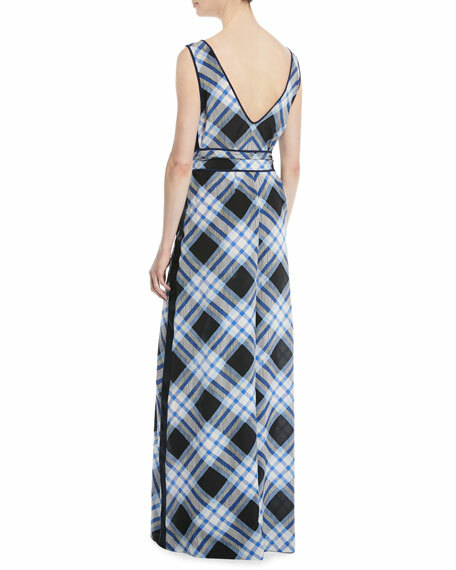 Renowned for its iconic wrap dress and signature prints, DVF now offers a full collection of ready-to-wear and accessories, and has established itself as a leader of feminine silhouettes in the fashion industry. As Founder and Chairman of DVF, Diane continues to devote much of her time to her many philanthropic endeavors. For in-store inquiries, use sku #2574146.